Gametools.dk - Mosaic® was developed for organizations of all types to build greater understanding of inclusive leadership. Mosaic® was developed for organizations of all types to build greater understanding of inclusive leadership. It can be played by leaders at any level. 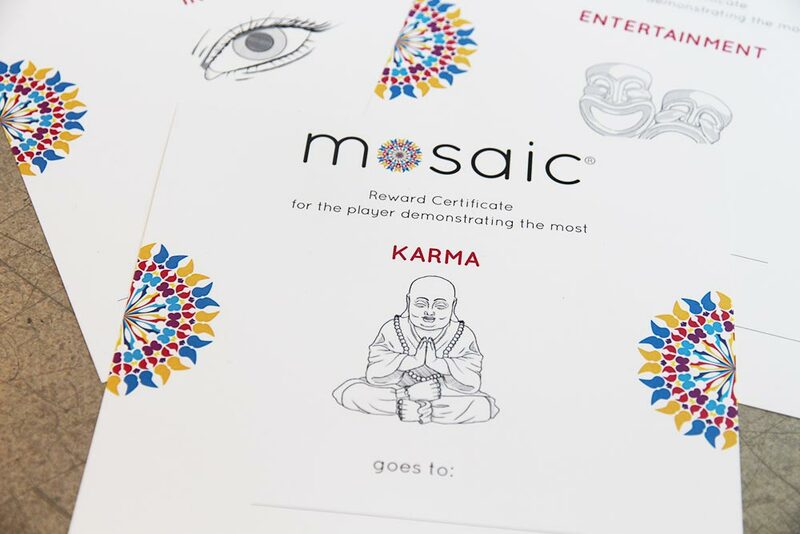 A “Serious Game”, Mosaic uses gender as a natural starting point to encourage participants to discuss and reflect on the meaning and practice of inclusive leadership. Players grapple with dilemmas drawn from the experiences of real leaders and practice identifying and responding to inclusion-related dilemmas. 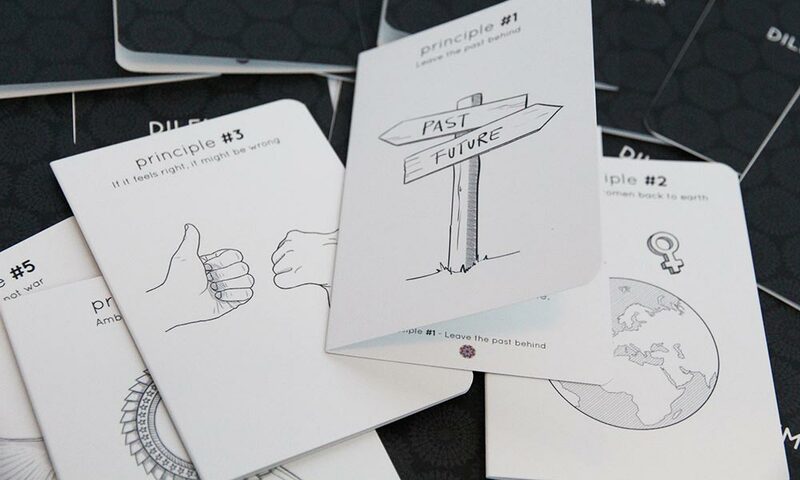 In the context of a competitive, yet entertaining game, Mosaic® creates a safe environment for imagining and practicing what can and should be done to constructively resolve inclusion dilemmas. Mosaic provides customizable, case-based simulations of real inclusion issues in organizations. Mosaic can be played by 4 to 7 players, supported by a facilitator trained and certified by On the Agenda®. The game requires a minimum of two hours to play and consists of two parts – a Dilemmas session and a Storymaking session. 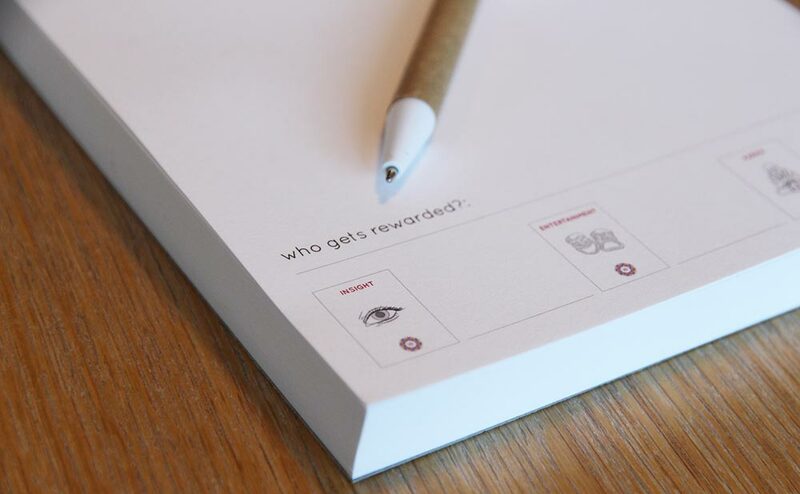 Mosaic is ideal for adding unique value to leadership meetings, workshops, management development programs, kick-off events, and larger staff meetings. 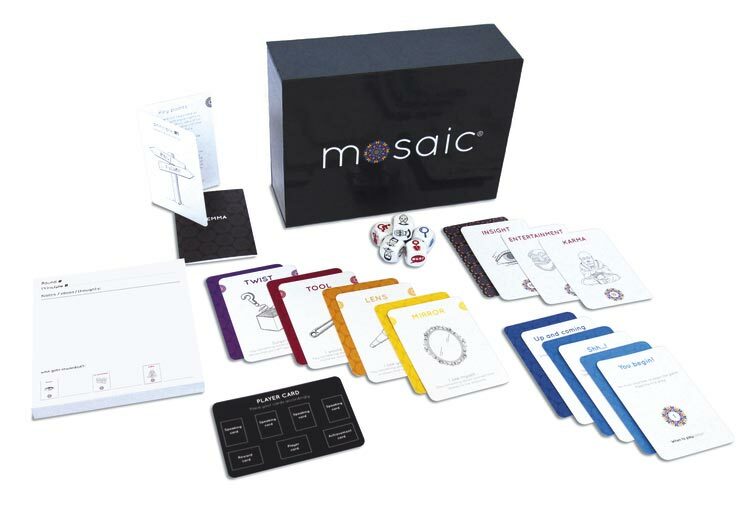 Mosaic was developed by On The Agenda® and Gametools® and is based on the book Bridging the Gender Gap – Seven Principles for Achieving Gender Balance (Oxford University Press, 2016) by Lynn Roseberry and Johan Roos.